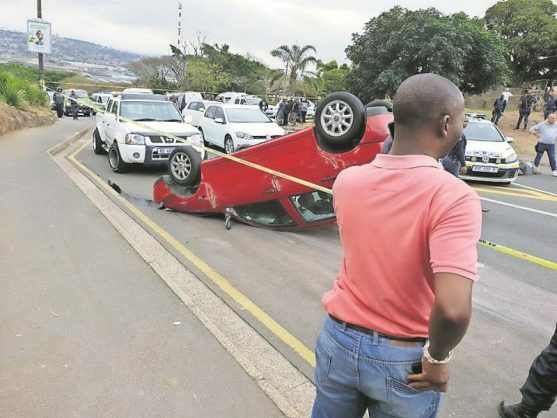 The criminals sped off in a black VW Polo, which the father and son team gave chase. 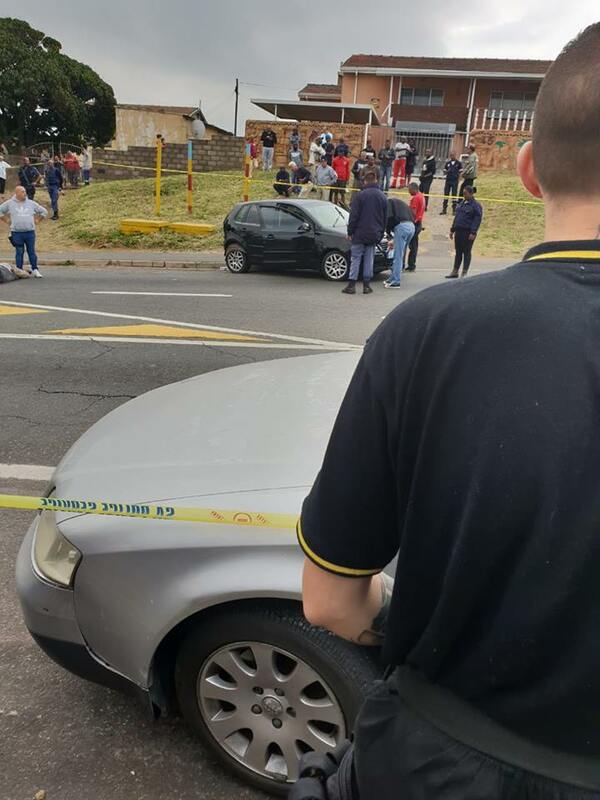 A PT Alarms public relations officer has expressed relief that her colleague and his father involved in a shooting on Quality Street escaped without major injuries after an armed robbery that took place earlier today. Je-shona Singh told Southlands Sun that reports about the stolen money being recovered are partially true, as only R5 000 of the R25 000 taken, was recovered. Bystanders at the crash site are alleged to have made off with the rest of the cash. The PT Alarm officer and his father, who is a policeman, were held up by three gunmen. “The father and the son were followed home from the bank. On their arrival at home, they were approached by two armed robbers. The criminals robbed them of the cash and sped off in a black VW Polo. The father and son team then gave chase, one suspect was shot and another suspect was apprehended,” she said. She said no one was killed and that the robber was shot in the shoulder. A third suspect fled the scene, according to Blue Security. Singh confirmed the car which had rolled belonged to the PT Alarm officer. “The father got out of the vehicle after the crash and shot at the robber’s car tyre, which caused them to halt. That’s when he shot one of them in the shoulder. Our paramedics, who responded to the scene and treated him,” she added. No fatalities were reported, and both father and son escaped the incident unharmed.